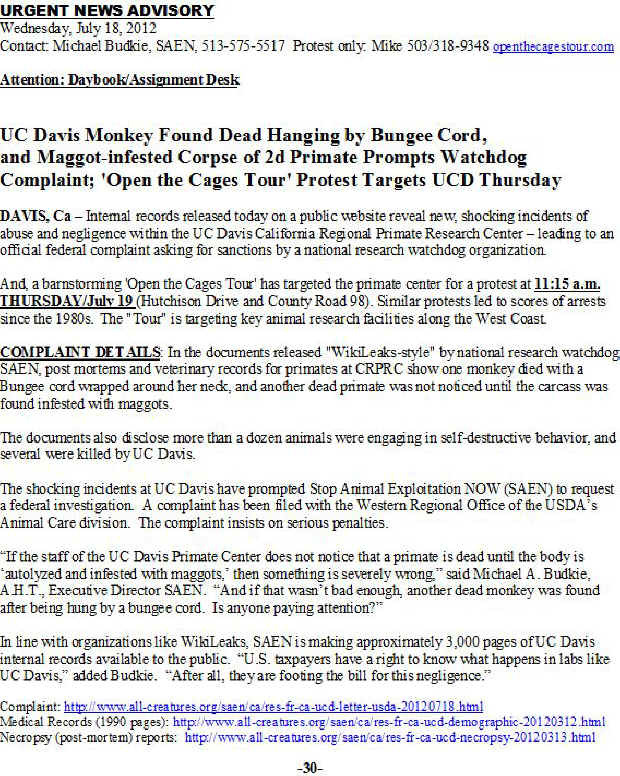 Please contact Dr. Gibbens and demand that he take immediate action against the University of California, Davis, for all violations of the animal Welfare Act. Be sure to insist on severe penalties because negligence at this lab has killed numerous primates and caused others to suffer horribly. Please contact University of California, Davis, Chancellor – Linda P.B. Katehi -- directly and demand that she initiate an independent investigation (including involvement by representatives of the Animal Advocacy Community) of the California Primate Research Center, and that they begin retiring animals to sanctuaries (including providing funding) instead of just killing them.